After failing to acquire Verve records during 1960, Frank Sinatra resolved to start his own recording label. Titled Reprise Records, the new label launched in March 1961 with Sammy Davis, Jr.’s The Wham of Sam and Sinatra’s own Ring-a-Ding Ding! being amongst the first releases. It was important to Frank that the label look out for the interests of the artists themselves; Reprise gave the artists increased creative control, and offered contracts which saw rights to the recorded masters revert back to the artists after a brief period. 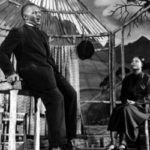 Sammy Davis Jr. took full advantage of the former, but not the latter – instead, he sold the future rights back to Reprise in exchange for more short-term cash. On the creative side, though, Sammy got to pick an arranger with whom he really wanted to work, and the answer was: Marty Paich. Paich had developed a sterling reputation as a doyen of West Coast jazz, cultivating a distinctive sound with a small group of expert jazz sidemen referred to as his Dek-Tette, most notably on recordings with Sammy’s close friend Mel Tormé. In his initial collaborations with Paich, Sammy would therefore dive headlong into mainstream vocal jazz, and the results were sensational. While Paich would continue to work regularly with Sammy for a further three years (mostly on more conventional material with orchestra and strings), their early collaborations proved Sammy’s mettle as a pure jazz singer. Frustratingly, Reprise never released an entire album of Sammy’s work with the Dek-Tette per se. 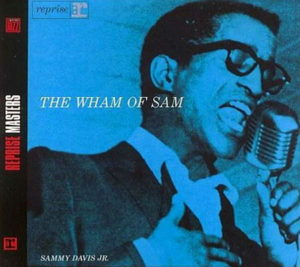 The B-side of The Wham of Sam collects six such recordings, and the few others recorded in 1961 and 1962 were placed here and there into later Reprise LP releases. But for Sammy’s first Reprise album release he wasn’t going to forget his own personal musical director and arranger Morty Stevens. Hence the A-side of The Wham of Sam contains six arrangements by Stevens, all of which are amongst his best work, and provide ample opportunity for Sammy to display his full range of talents as a singer. 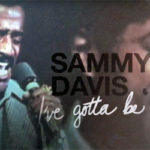 The album therefore has two distinct atmospheres: On one side we get the full Sammy Davis, Jr. repertoire – swinging hard on “Out of This World”, dispensing a bit of Ray Charles on “Back In Your Own Back Yard”, channeling Sinatra in “I’m Gonna Live Till I Die” and “(Love Is) The Tender Trap”, and providing the full-on torch-song experience in “I’m A Fool To Want You”. Flipping the LP over, we get Sammy the West Coast jazz vocalist. Was there nothing the man couldn’t do? 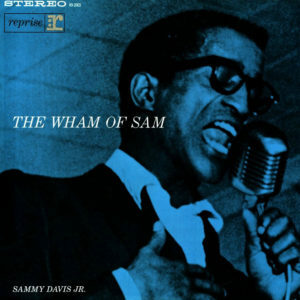 The twelve recordings on The Wham of Sam feature Sammy Davis, Jr. at the height of his powers, both vocally and creatively. 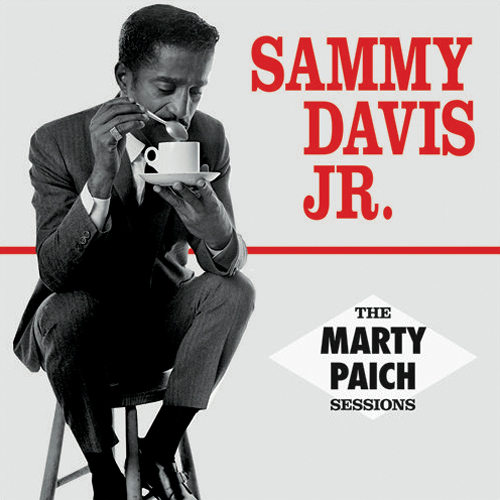 Lush Life: The pièce de résistance of Sammy’s collaborations with Morty Stevens. Sammy delivers a beautiful rendition of Billy Strayhorn’s classic (unbelievably written when Strayhorn was 16), full of nuance and feeling. The first half of the arrangement heavily features Tony Rizzi’s guitar, to great effect. If you can forgive Sammy substituting “distant gay traces” for “distingué traces”, this is one of the single best recordings of Sammy’s career. Let There Be Love: Sure, this 1940 standard has been covered by everyone but it was the first cut recorded by Davis and Paich together, and it’s a delight. There are great sax and trumpet solos, and Davis brings his joie de vivre to proceedings including a call back on ‘singin’ in the trees’ to his ‘you’re a dirty robber’ ad lib from his 1955 and 1957 Decca recordings of “That Old Black Magic”. Out Of This World: Partnered with great lyrics by Johnny Mercer, this melody is one of Harold Arlen’s most unusual. The song was introduced in the 1945 film Out Of This World (which saw Eddie Bracken perform it, dubbed by the singing voice of Bing Crosby). Sammy and Morty give it all they’ve got, and Sammy liked it enough to incorporate the arrangement into the Rat Pack ‘Summit’ live act (with an added bongo coda – ‘you’re sumthin’ else, don’cha know, and you’re mine’). Blame It On My Youth: Sammy carries this beautiful Oscar Levant/Edward Heyman song with minimalist accompaniment throughout. While Marty Paich’s Dek-Tette usually eschewed the use of a piano, here Paich chooses to have Sammy sing the verse with solo piano. A plaintive Bud Shank sax solo nicely compliments Sammy’s heartfelt reading of the lyrics. For reasons only known to Reprise Records at the time, six of the twelve cuts on The Wham of Sam were repeated in future Reprise releases (two on 1962’s What Kind Of Fool Am I, and four on 1963’s As Long As She Needs Me). For this reason Collector’s Choice music declined to reissue The Wham of Sam when they released Sammy’s entire Reprise catalog on CD in the mid-2000s. In 1994, Warner Records released a fantastic compilation CD of some of Paich and Davis’s best work together and confusingly titled it The Wham of Sam. This CD release has often incorrectly been assumed to be a reissue of this original album. Therefore, to date the only actual reissue of the album proper has been a UK Reprise Masters CD release from 2004, although the album is now available for digital download (links at the top of the page). Part of their “Reprise Masters” series, this is an excellent release of the original album, with liner notes by Keith Shadwick. A 2-CD compilation focussing on Sammy’s early recordings on Reprise with Paich. It includes all tracks from The Wham Of Sam.